Progressive Management Practices designed to cultivate a high performing resilient culture that is continuously expanding its capabilities and has built-in self-renewing processes that ensures the organization posses the skills and resources it needs to remain relevant in our rapidly changing world. 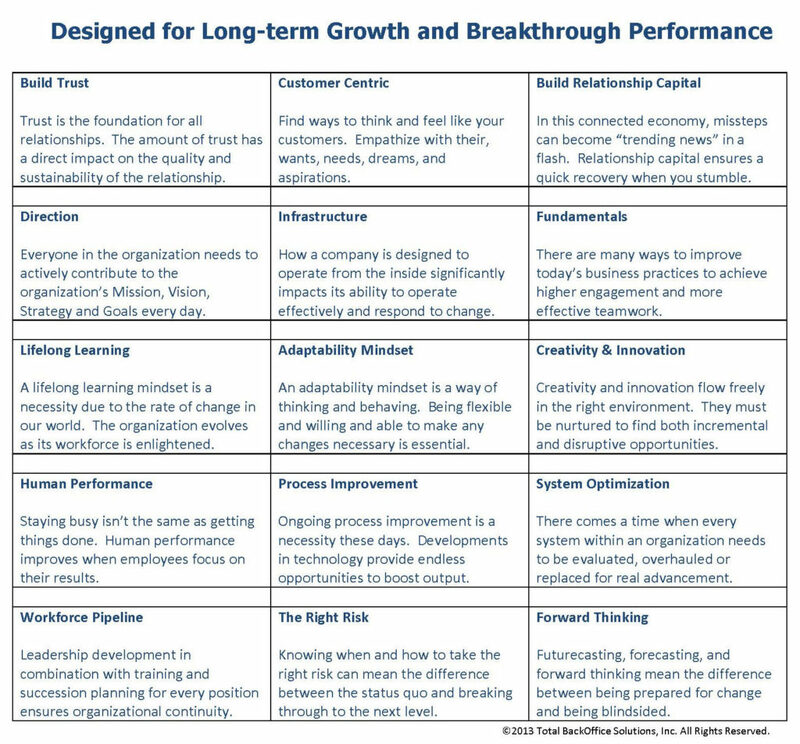 See a related article “Designed for Growth and Engagement: Fixing the Invisible Stranglehold on Business Success” here. An Organizational Structure that behaves more like an entrepreneurial enterprise is the best of both worlds, including the depth of skills and resources of an enterprise combined with the high customer focus and flexibility of the entrepreneurial mindset. Where the organization creates a trusting environment with open, honest, and respectful communication, an environment where everyone is safe to challenge the status quo. Cohesive teams that resist group think, with people who speak-up when they see potential problems and well before a bad situation gets out-of-hand, where employees learn from one another, identify critical issues, and recover quickly from mistakes. The business simply gets the best out of the talent that they have and don’t let dysfunctional behavior get in the way. They empower ordinary people to do extraordinary things. 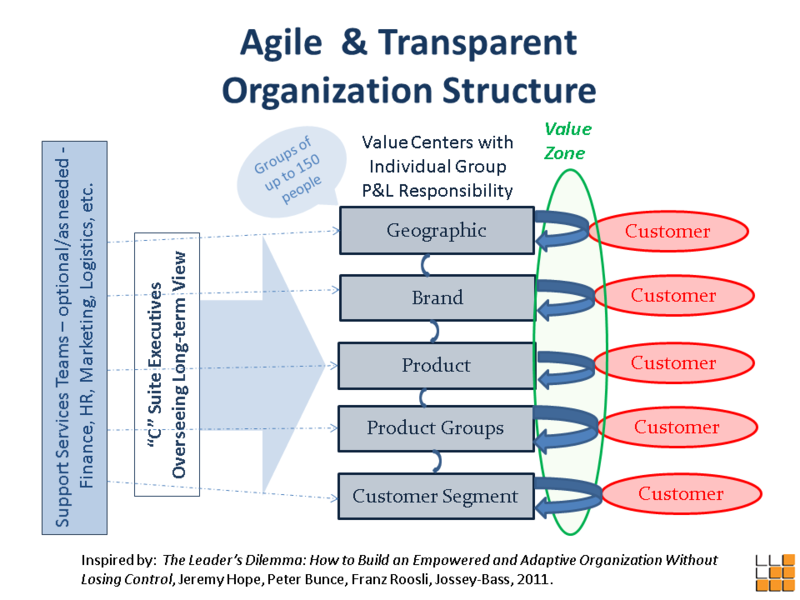 Overlay the invisible management practices and processes below (see Business Design 2.0 graphic) over the agile and transparent organizational structure above and you’ve got a winning combination that is comprehensive yet flexible and can be applied to any industry. Mavericks in the business world have long since abandoned the traditional industrial age methodologies and reaped tremendous benefits. Now you get the benefit of tried and proven approaches without having to spend time, energy, and resources blazing a trail all on your own. .
Trust is at the core of the Business Design 2.0 framework immediately followed by being Customer Centric. It’s built on a Strong Organizational Health Foundation and simultaneously promotes team effectiveness while developing dynamic organizational capabilities. The combination a competitive advantage in a distinctive thriving culture that can’t be copied by competitors. 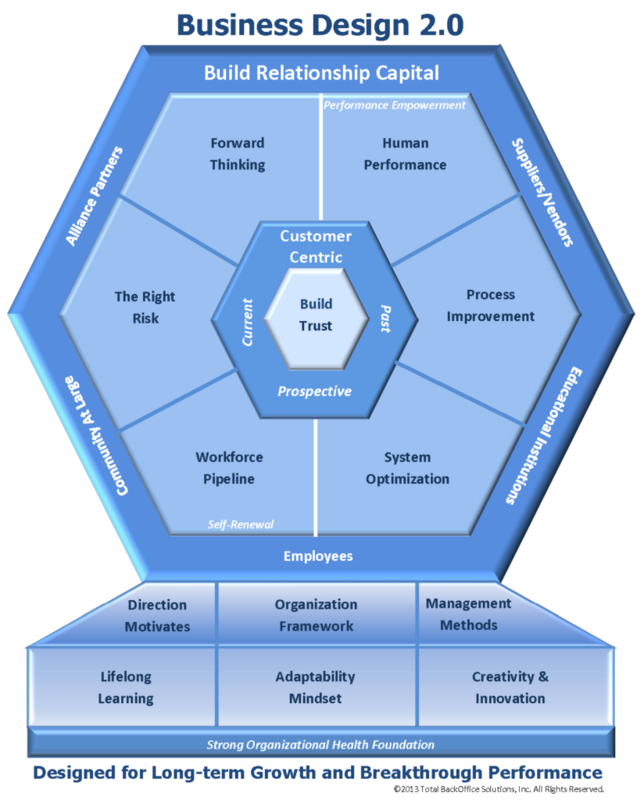 A detailed overview of the Business Design 2.0 framework is available at the Management Innovation eXchange (MIX) available here.